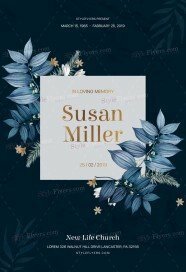 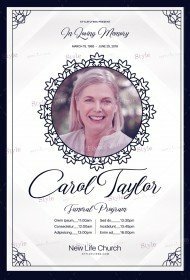 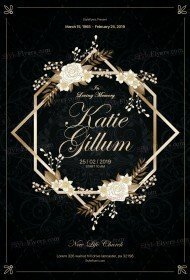 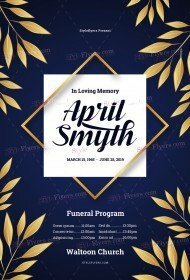 In this Funeral flyer template category, you will be able to find a wide selection of premium product, which will help you in funeral preparations. 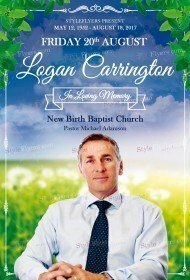 Unfortunately, everyone faces with this unpleasant day. 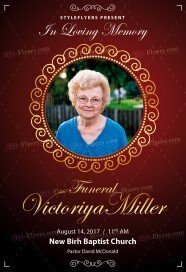 Our premium template will become your helper! 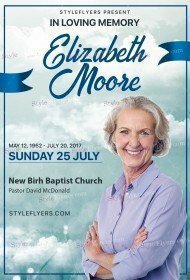 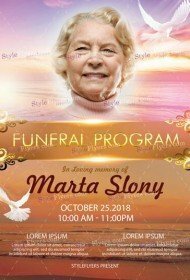 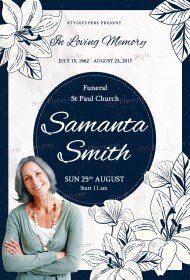 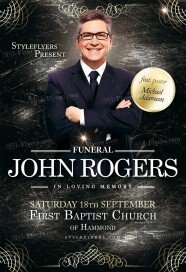 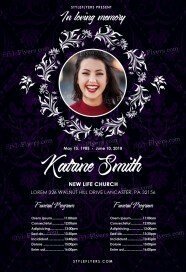 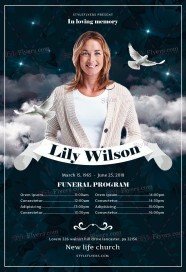 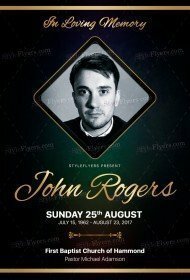 With any template, you pick you will be able to create a funeral flyer and distribute it to your close ones, which whom you want to share this day. 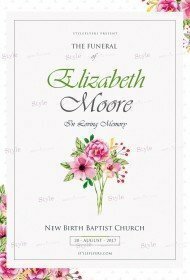 The fully layered structure will help you to customize the design and add any additional text. 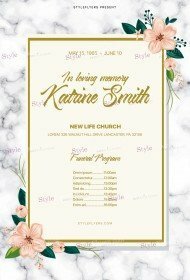 Our templates are affordable but they are of high quality. 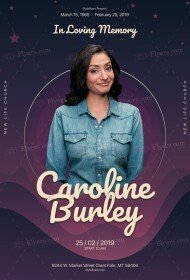 You can change the layout in your Photoshop within few minutes. 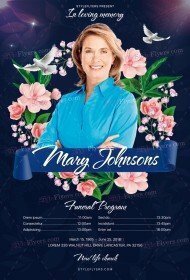 All templates are ready to print and cost just $2.99 per one product. If you want to purchase more than one template you should better own a subscription!